Honestly, I am not just addicted…it’s more….a sickness maybe?? I can’t walk by a rock without taking a good look. I’ve been this way my whole life. I collect them. I display them. I decorate with them, and of course, I make jewelry with them (that last one is my current favorite!). If you peaked at my welcome page you got a hint of that fact…but I thought it needed a bit more attention considering it consumes a large part of my life! I don’t even know how to describe this one…anyone know what the heck it is? You’re probably thinking ‘Rocks?’ It’s weird, I know. I can’t help it. My boyfriend thinks I’m off my rocker… ha ha get it?? Seriously though, I probably should have been a geologist or something exotic like a gem hunter!! 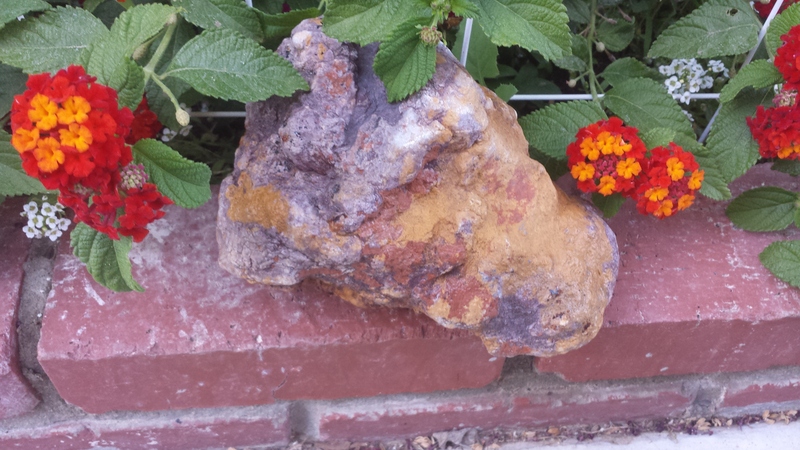 Instead, I’m just me…with a weird love of rocks! I have NEVER left the beach without at least one in my pocket, sometimes the pockets are overflowing AND if I happen to have someone along with me, theirs are too!! Oh, and while we are in the confessional, I even took a rock out of a National Forest once. I believe this may be a federal offense, so PLEASE, don’t tell!!! It was a long, long time ago, I’m not proud of it, and at the time I didn’t know I wasn’t allowed…promise! Here is a picture of that one…anyone want to guess where it came from??? Ha, I’m not telling!!! I was lucky to grow up in a wonderful place rich with fossil beds, rugged canyons, and dry river beds to explore, and even a pretty famous spot for filming movies and TV shows. Look close and you just might recognize it, they have been filming here since the 1930’s. I have been lucky enough to visit a few places with beautiful, natural rock formations both colorful and just plain cool. 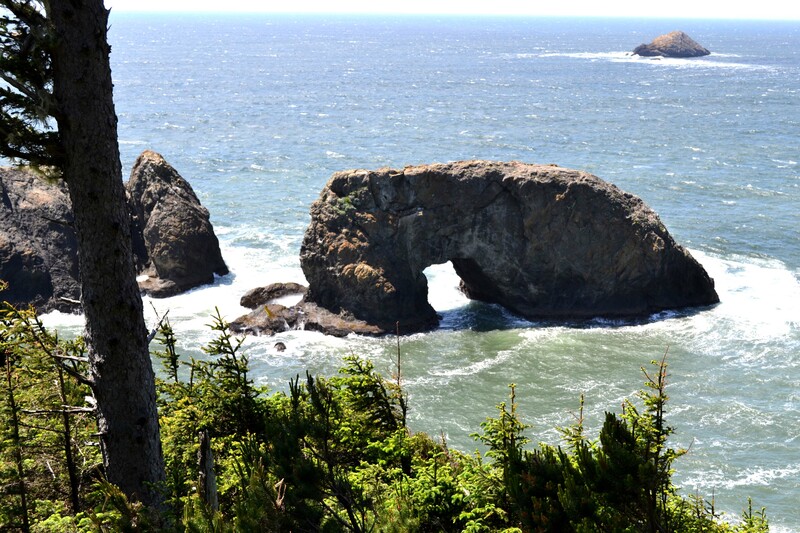 Like this one…Arch Rock in Oregon. I have NEVER, EVER seen anything as beautiful as what photographer Frank Townsley captured in the Petrified Forest National Park in Arizona. Check out this incredible photo he titled Geologists Rainbow. How is that for some WOW factor!! This is a rock…perhaps some would argue it is a fossilized piece of wood, but I say it’s a ROCK and a magnificent one at that! I have been to this national park twice and didn’t see anything quite this awesome, so you know I’ll be going back! By the way, I highly suggest visiting Frank’s website, his photo’s are truly amazing. Just click the photo for a link. 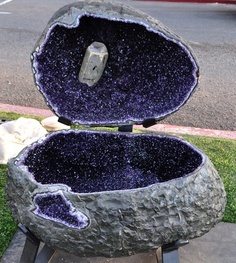 Of course this little blog post wouldn’t be complete without talking about my favorite stone of all, the Amethyst. How incredible that something so plain looking on the outside could hold such beauty on the inside. 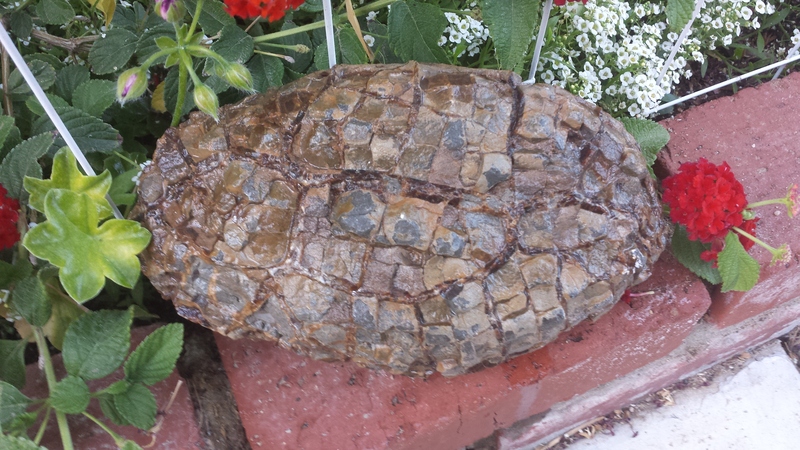 Check out this INCREDIBLE specimen. It is exactly this kind of thing that makes me wonder what treasures are just sitting there, right in plain sight. So here I am, playing with rocks and having the time of my life!! Nature is a wondrous thing and how lucky are we to have the time on this earth to explore and see these wonders. Oh, and here’s another little nugget…My bucket list even has things related to rocks on it. A tour of the famous Arizona Four Peaks Amethyst Mine. You have to helicopter in and they only set the tour up twice a year…but I will do that trip!! !